The sun can do a number on your skin, leaving it dry, damaged and depleted. Of course, sun exposure can also lead to skin cancer. When shopping for skin care products, look for these key ingredients that can help reverse sun damage and leave you with beautiful, healthy, younger-looking skin. You’ve probably heard some buzz about alpha hydroxy acids (AHAs). These ingredients work as exfoliants to slough away dead skin cells. Plus, they can also stimulate the production of collagen and elastin at the cellular level to help reverse sun damage and improve the appearance of aging skin. 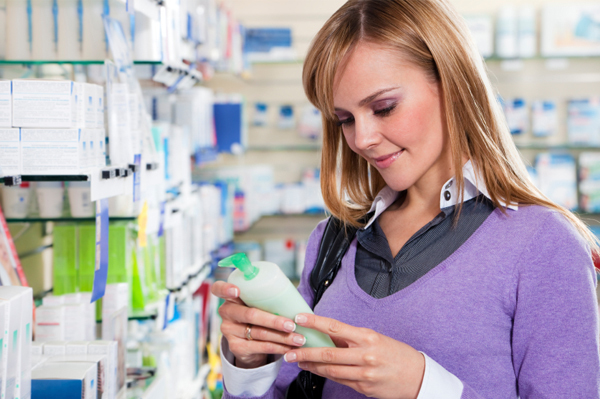 AHAs can be found in a number of skin care products including moisturizers, masks, peels, cleansers and more. Citric acid, glycolic acid, lactic acid, malic acid and tartaric acid are types of AHAs. Alpha hydroxy acids can cause skin irritation; therefore, you should only use one product containing AHAs, not multiple ones. Additionally, though they can help reverse the damage caused by the sun, AHAs also cause sun sensitivity so using sunscreen is a must. Sun exposure and environmental pollutants can cause free radical damage that leads to wrinkles, hyperpigmentation and premature aging of the skin. Fight and protect against sun damage and other issues by using products that are high in antioxidants. Antioxidants that help restore the skin include vitamin C, vitamin E, catechins (found in green tea) and alpha lipoic acid. Alpha lipoic acid is the go-to antioxidant because it’s hundreds of times more powerful than other common antioxidants and can function in both water and fat. A healthy diet full of fresh fruits and vegetables can provide antioxidants and other ingredients that are essentials for healthy, youthful skin. In recent years, many skin care products have come on the market utilizing hyaluronic acid as one of their main ingredients. Hyaluronic acid has an amazing moisturizing effect, holding up to 1000 times its weight in water. It helps to hydrate the skin, diminish the appearance of wrinkles and reverse the signs of sun damage. Sun damage and the natural aging process diminish collagen production and degrade the skin’s elastin fibers. Fortunately, peptides can help improve collagen and elastin, decrease skin roughness and dryness, and reduce wrinkle volume and depth. Look for anti-aging creams and other skin care products that contain peptides, particularly palmitoyl pentapeptide-3 (matrixyl). Read more about the benefits of peptides. Retinol (pure, natural vitamin A) and tretinoin (the acid form of vitamin A, which is available in creams/gels under brand names like Atralin, Renova and Retin-A) stimulate cell renewal along with collagen and elastin production. When using retinol and tretinoin products, you may first experience skin irritation and peeling for a few weeks. Dermatologists recommend starting out with a low strength of these products and then increase the strength over a period of months.